San Diego Divorce and Child Custody Attorney Brian A. Victor has been selected to the Super Lawyers 2019 California Rising Stars list. This is the fifth year in a row Attorney Victor has been selected for this honor! Attorney Brian A. Victor has been presented this honor from 2015-2019. This is an exclusive list, recognizing no more than 2.5 percent of the lawyers in the state. The objective of Super Lawyers is to create a credible, comprehensive and diverse listing of exceptional attorneys to be used as a resource for both attorneys and consumers seeking legal counsel. The Super Lawyers lists are published nationwide in Super Lawyers Magazines and in leading city and regional magazines and newspapers across the country, as well as in the California Super Lawyers Digital Magazine and Modern Luxury San Diego. Mr. Victor worked at Family Court in San Diego for over 11 years providing child custody mediation reports to family court judges. He uses that experience in his own practice representing clients in their divorce and child custody cases. He is also a licensed Marriage and Family Therapist and understands the stress an grief that can be associated with a divorce or child custody matter. If you have questions about your legal matter, contact San Diego family lawyer, Brian A. Victor at 858-633-3529 to guide you through the process. In this blog post, I am going to discuss a big question I get asked a lot. “Who pays for college when I get divorced?” This is a concept I hear a lot about, but there is not much information available on this topic. In fact, this is a big issue when clients come to me with children in high school or having just graduated high school. As always remember the information provided in this blog is to inform rather than to provide legal advice. First, I will discuss the steps when there is an agreement regarding paying for a child’s college tuition during a divorce. Next, I will discuss what happens when there is not an agreement to pay for a child’s college tuition during the divorce process. Attempting as best I can to answer the question, Who pays for college when I get divorced? For example, let’s say you have a child who is working hard in high school and plans to attend college. How is it determined who will pay for their college education when their parents are in the middle of getting divorced? One of the most important things to do is to discuss this upcoming situation in advance of a divorce proceeding to get an idea of both parents’ perspectives towards their belief of who is going to pay for college when I get divorced. Will it be the responsibility of one parent or will both parents share that responsibility the best they can? Of course, as an attorney, I tell all my clients to make sure that whatever they discuss is put in writing so that at least there is some evidence of an agreement going forward. The next step in this process is trying to determine what happens when there is an agreement regarding who will be responsible for paying for the children’s college tuition. Generally speaking, at least in the state of California, Family Court only has jurisdiction over a child until they turn 18 years old or if they will be graduating high school at the age of 19. This means, generally Family Court will not be able to make orders regarding a child once the child has graduated high school. Also, they do not generally make orders about who is going to pay for a child’s college tuition unless the parents have agreed to a plan. This means, that it is extremely important for parents to put a condition into their Marriage Settlement Agreement otherwise known as (MSA) as to who is going to pay for college, what expenses will be paid for, how this payment will be made, and any other particulars regarding their child’s college attendance. This will require a fairly in-depth conversation and perhaps consultation with their attorneys. Obviously, an agreement for college tuition relies upon finances and the availability to pay. Because finances can be volatile especially when going through the divorce process, it may be beneficial for parents to set money aside that will specifically be used for the children’s college expenses. This is a good way to help answer the question, Who will pay for college when I get divorced? This is a topic that should be discussed in much more detail with a family law attorney who can provide detailed information regarding your specific situation. In my next blog post, I will discuss the topic of paying college expenses especially when there is no agreement for payment. In this YouTube episode, San Diego Divorce and child custody attorney, Brian A. Victor discusses the process of moving forward with a divorce or child custody case. Remember to subscribe to Attorney Victor’s podcast on YouTube so as not to miss any important discussions regarding divorce and child custody. San Diego Divorce Attorney Brian A. Victor Named to the 2018 Super Lawyers California Rising Stars list. We are pleased to announce that San Diego Divorce Attorney Brian A. Victor, of the Law Offices of Brian A. Victor, has been selected to the 2018 Super Lawyers California Rising Stars list. This is an exclusive list, recognizing no more than 2.5 percent of attorneys in the state. This is Attorney Victor’s 4th time being selected to this exclusive list. He has been named to the Super Lawyers California Rising Stars List from 2015-2018. The Super Lawyers and Rising Stars lists are published nationwide in Super Lawyers Magazines and in leading city and regional magazines and newspapers across the country, as well as the Minnesota Super Lawyers Digital Magazine. 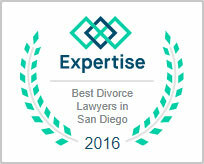 Please join us in congratulating San Diego Divorce Attorney Brian A. Victor on his selection. Preparing for divorce? San Diego divorce and child custody lawyer Brian A. Victor discusses the topic of preparing for divorce in this podcast episode featured on YouTube. He specifically details the concerns that should be focused on when preparing for divorce and what items an attorney may need from you before you can begin preparing for divorce in court. Other considerations are discussed regarding decisions to be made when preparing for divorce. Attorney Brian A. Victor discusses divorce and child custody issues. He brings more than 11 years experience recommending parenting plans to judges while working at Family Court Services in San Diego. Attorney Brian A. Victor is a family law attorney in San Diego, California. He accepts cases ranging from divorce, child custody, child support, spousal support, and guardianship. discusses what is necessary for improving ineffective co-parenting skills. Also, discussed is the use of co-parenting classes whether court-ordered or not and how they can benefit you when improving ineffective co-parenting skills. Preparing for divorce can be difficult especially when you do not know what you will need to present your case to court. Attorneys will ask for many important documents and it is important to be ready with these documents when you first meet with your attorney. Also, your attorney will prepare additional documents to present to the judge so be sure to discuss with your attorney what they require from you so you can be best prepared. This YouTube Podcast is presented as information only and not to be considered as legal advice. Happy New Year and welcome to the first blog of 2018. In this blog I am going to be talking about the best ways for preparing for divorce. I found that as the new year begins people contemplate what is right and what may not be quite so positive in their lives. One big area people look at is their marriage. They begin to assess what they enjoy about being with their spouse and what needs some work. The holidays provide a great precursor to this reflection as that is usually time that spouses spend together and with their family. Too often I have heard people come into my office and tell me that the holidays that just ended were the breaking point of the marriage. People realize at that point their relationship is over and they have now decided to do something about that. When prospective clients come to me they usually have spent time reflecting on their decision to get divorced and have either contemplated or attempted counseling, but to no avail. I have yet to have one person come to me and say I woke up this morning and made the decision to get divorced. If this did happen, I would tell them that they should think about this decision and think about the possible repercussions before coming back to me to begin the divorce process. I am often asked by prospective clients what I need to help prepare to file their divorce matter. The answer of course varies from case to case. I am going to provide a basic list of helpful items people can prepare when talking to their attorney about beginning their divorce matter. One of the most important things that is helpful for an attorney is for a prospective client to have a history of their situation. This of course includes date of marriage, date of separation (if the parties are separated), A list of concerns or complaints regarding the situation, children’s names and dates of birth and the history regarding their parenting time with their children. Other important items to have available include; a list of their assets and debts, when these assets and debts were acquired and how much they were acquired for. Of course, there is additional information needed to begin a divorce case, but the items previously mentioned provide a good starting point. Be sure to check with your attorney as to additional items required for your matter. Please remember that the information provided in this blog is not to be considered legal advice, but rather general insight. I often get asked when meeting with a client for the first time what is the best divorce preparation information I can provide them. 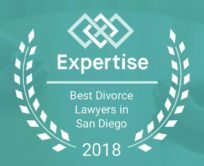 In my work as a San Diego divorce lawyer, I have found that understandably people do not have much clarity about their situation when they come to see me. In fact, they usually come with a notebook full of questions to help them clarify their situation. By the time clients come to see me, they have made the conscious decision to get divorced. Generally, this decision has been made for quite a while, but it took something to give them the extra push to meet with a divorce attorney. When a client initially comes to see me they are usually well aware of my background and the fact that not only that I worked for Family Court for nearly 12 years, but I am a licensed marriage family therapist as well. They know that I understand how complex and stressful the divorce process can be. What I have found however, when talking to a client for the first time, is that they usually have a complex history with their soon to be ex-spouse and have a hard time providing me the necessary information to get started on their divorce matter. What I mean by that is although they understand what has gone on in their marriage and can provide a history to me regarding the facts, they are unable to do so in a concise and accurate way, which is usually required for court. 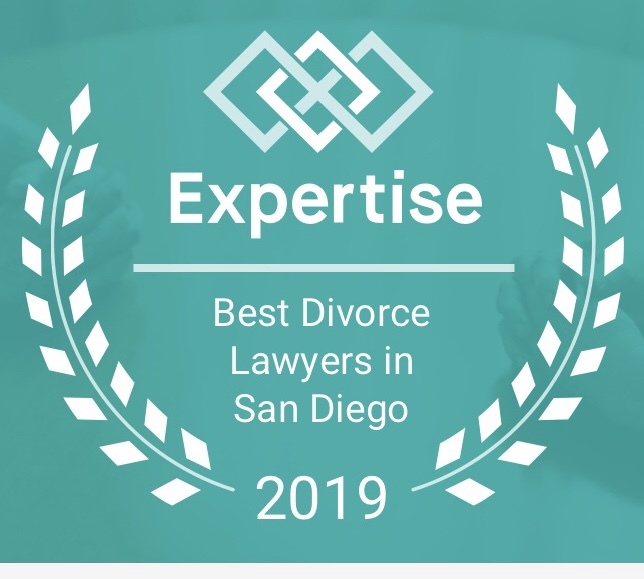 As a San Diego divorce lawyer, it is my job to gather the client’s important history and provide it to the court in and easy to follow chronological history so that the judge can understand the important facts, rather than all of the facts. Some of the best divorce preparation information I can provide to my clients is to teach them how to write down important facts versus needless facts. Their job is to tell me what happened in the situation and what they want the court to do about it. My job then is to take this information and draft it in a coherent way so the judge can understand exactly what it is my client wants. I find it to be important to discuss with my clients what I determine to be the best divorce preparation insight they can use moving forward with their case so that I can better represent them in court. This tends to make my job easier, which in return makes it less expensive for them since by providing a coherent and concise history to me it takes me less time to draft essential paperwork that is necessary in their divorce matter. Please remember that the information provided in this blog is not to be considered legal advice, but rather general insight. For this blog post I am going to continue to discuss the topic of co-parenting and what one can do to improve ineffective co-parenting skills. In my last blog I discussed inappropriate co-parenting and the pitfalls associated with it especially as it relates to children of divorce and custody. For this blog post I am going to take this question one step further and talk about how to resolve the issue of ineffective co-parenting so that it does not negatively affect your children, but rather how positive co-parenting may help your children. All too often, people grow accustomed to and even accept inappropriate styles of communication. What I mean by that is people learn how to communicate with others by what they have seen modeled before them whether it be in their relationship with their parents or in their relationship with a significant other. If the styles of communication they learn is ineffective it can affect their ability to communicate and in turn co-parent as they get older. While you are probably not able to change the behavior of your parents on your own, you can understand when a change needs to be made in your own co-parenting behavior. Recognizing there is a problem in your own skills of co-parenting is the first step for making positive change. Hopefully, this change can come prior to negatively affecting a marriage or dating relationship. Too often, however, ineffective co-parenting skills negatively affect one’s marriage or dating relationship to the point that it is too late to save. Unfortunately, this can also negatively affect one’s children in the process. As I just stated, recognizing you have a problem with your co-parenting skills is the first step for resolving the issue. The next step is to find a professional who can help you improve your co-parenting ability. There are many co-parenting classes available to help those who are involved in a divorce or custody dispute. Many of these classes are court ordered and your particular court should be able to refer you to an appropriate co-parenting class. Some of these classes are given online while others are taught in person. Understanding what your court allows as well as what style of learning works best for you is something to consider before enrolling in a co-parenting program. If you have not been court ordered to take a co-parenting class you can still enroll in one and should especially if you see there is a problem or have been told there is a problem in your co-parenting ability. Solving a problem before it affects others is a great thing to do and can save lots of money, time, and emotion. Finally, once you have completed a co-parenting program it is of the utmost importance to begin displaying the behaviors you were taught in order to minimize co-parenting issues and maximize your ability to positively affect your children. As always please remember the information provided in this blog is to inform rather than to provide legal advice and should not be taken as legal advice. San Diego divorce and child custody lawyer Brian A. Victor discusses how co-parenting can work with an unwilling co-parenting parent in this podcast episode featured on YouTube. Other considerations are discussed regarding their effect on the child custody parenting plan. It is extremely important to understand how to co-parent effectively and how poor co-parenting skills negatively affect children. Co-parenting classes should be taken to help improve ineffective co-parenting skills. This is the 16th podcast episode by Attorney Brian A. Victor. In this particular podcast episode there is a discussion of how co-parenting can work with an unwilling co-parenting parent when creating a child custody parenting plan. Attorney Victor discusses child custody, divorce, co-parenting and other pertinent topics related to family law in his podcast episodes. Most people have questions about family law; divorce and the child custody parenting plan in particular. Attorney Brian A. Victor focuses on his experience when discussing these issues. These podcasts are not meant to provide legal advice, but rather general information and should not be relied on for legal advice.